Jenny established Abbey Consulting in 1999 to provide consultancy and training on the positive management of risk to improve business performance and protect and enhance reputation. Prior to this, Jenny’s wide-ranging career spanned over 20 years with ICI and Zeneca, in a variety of sales, marketing, purchasing, logistics, supply chain and general business management roles, latterly, as a Chief Internal Auditor with ICI. Jenny is a skilled facilitator who uses her extensive business experience to help organisations capture and control major threats and opportunities to business success. 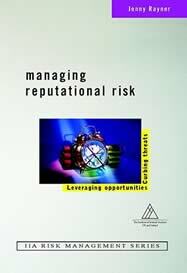 Jenny also writes and lectures on risk management, corporate governance, corporate social responsibility and reputation. She is executive editor of Gee Publishing’s Business Risk Management handbook and author of Risky Business: towards best practice in managing reputation risk, a study published in 2001 by the Institute of Business Ethics.